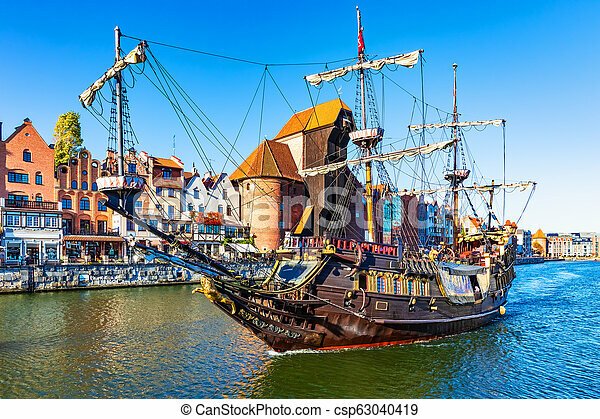 Historical ship in the old town of gdansk, poland. 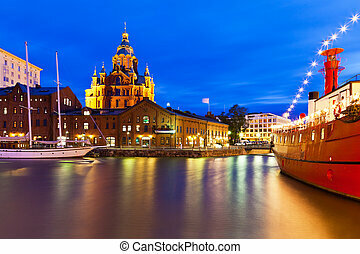 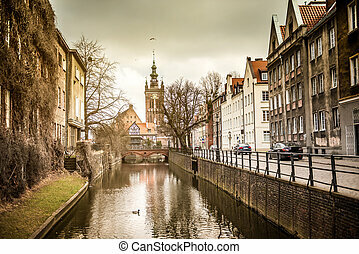 Scenic view of ancient historical tall ship sainig by the motlawa river in the old town of gdansk, poland. 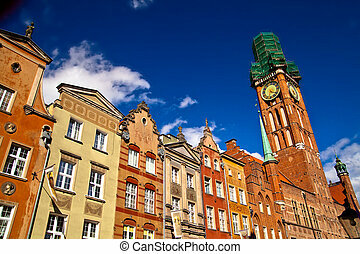 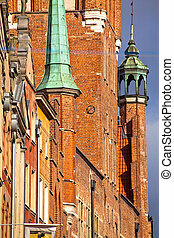 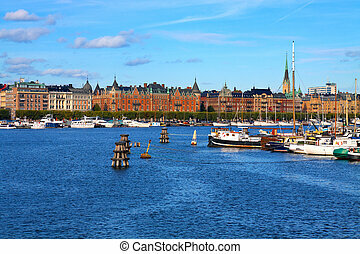 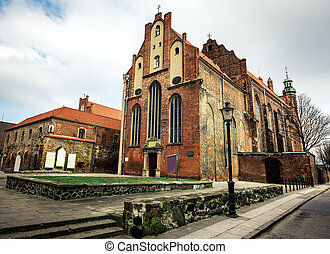 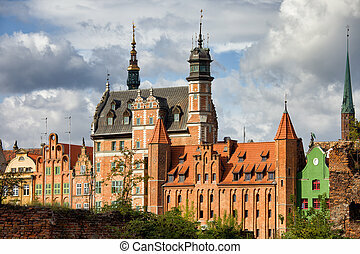 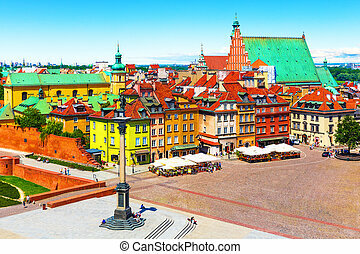 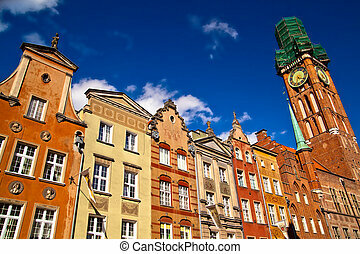 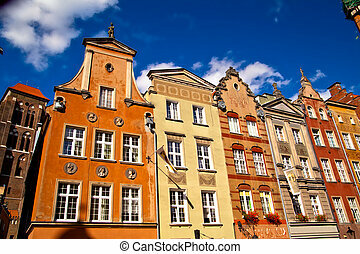 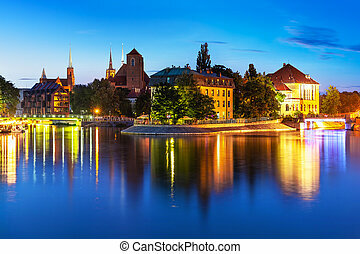 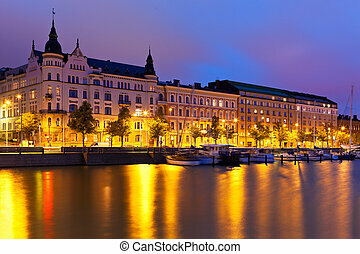 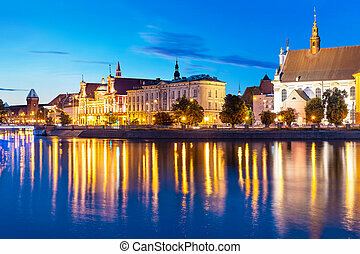 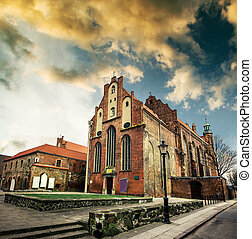 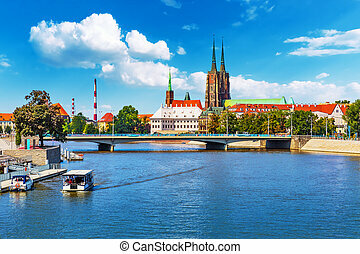 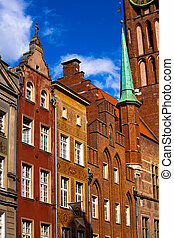 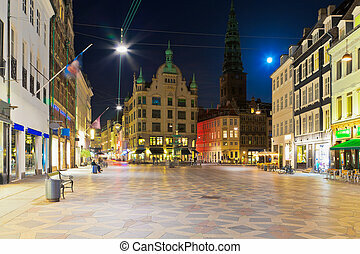 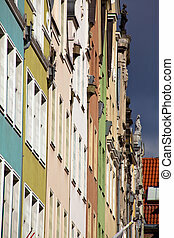 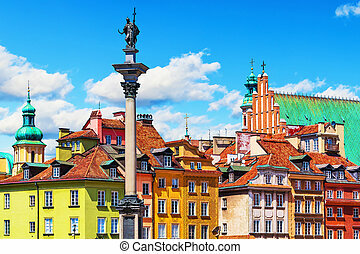 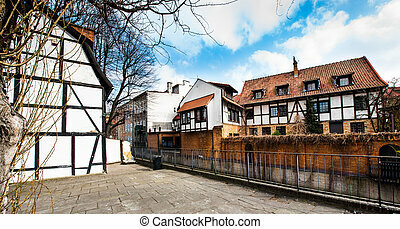 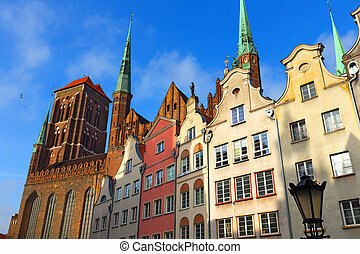 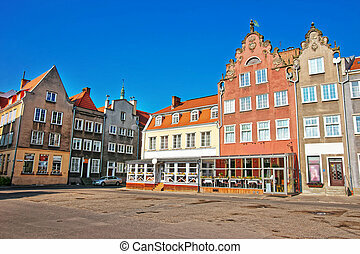 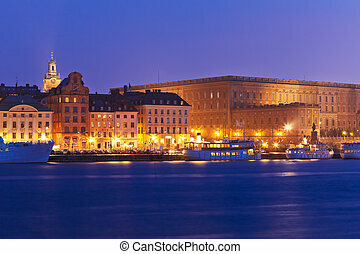 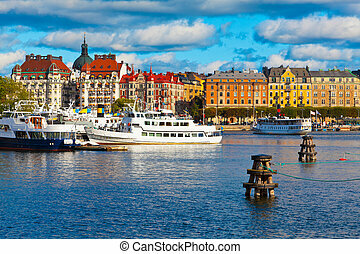 Old Town of Gdansk skyline, Poland. 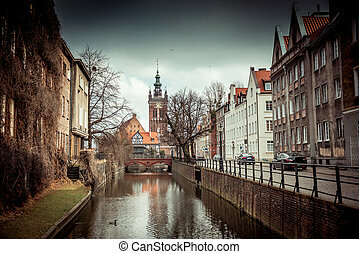 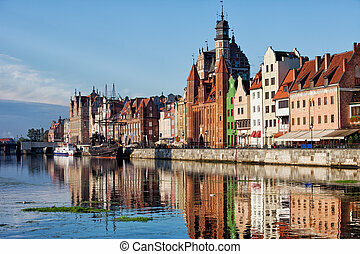 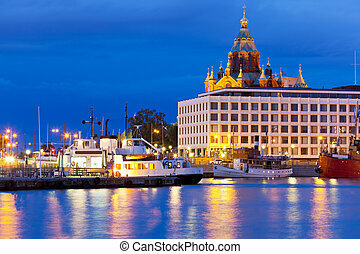 Old Town of Gdansk skyline in the morning by the Motlawa river in Poland.